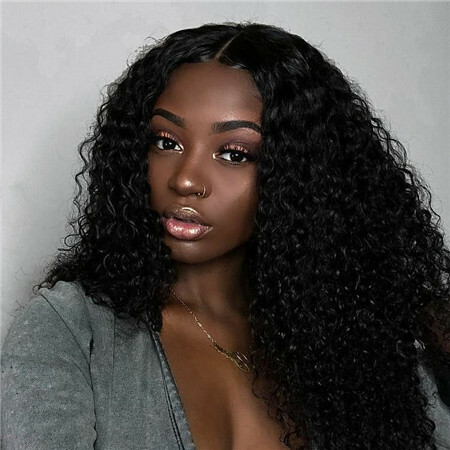 Lace frontal with baby hair gets more and more popular among women in the world.Lace frontals complete the desired look of a sew-in by closing off the install, eliminating the need to blend any leave out. It's the “finishing piece” that completes a full head of weave. It's a recreation of the hairline that is essentially a protective style, giving your hairline and edges a break from the tension of sew-ins. 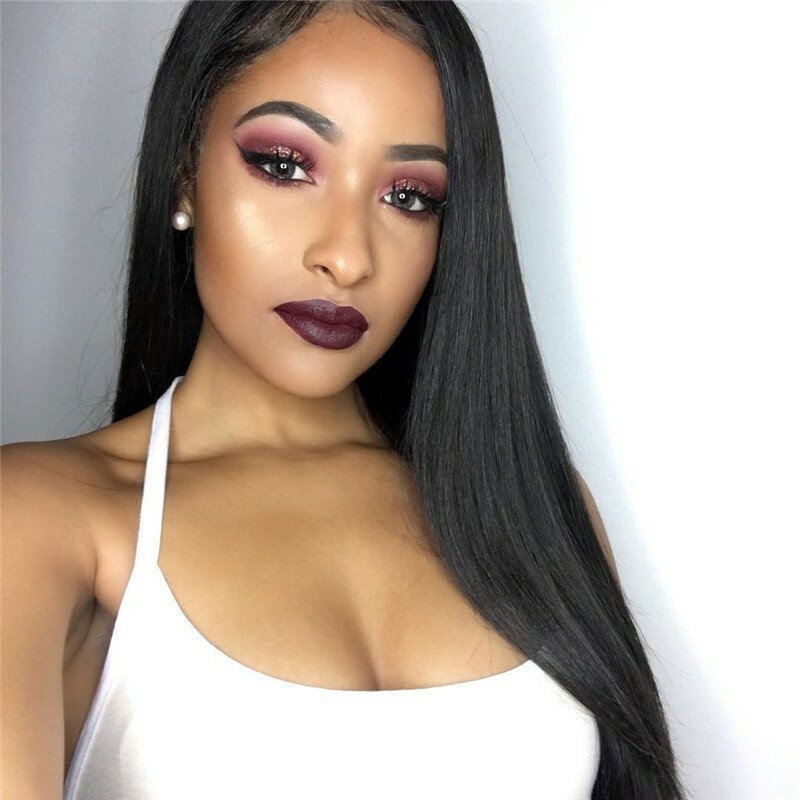 Just like closures a couple years ago, Lace Frontals have taken over and like most clients you want to know “Is this cute trend right for me”?Keep reading,this article maybe help you. What is a frontall weave? A frontal is a hair piece that encloses your head. 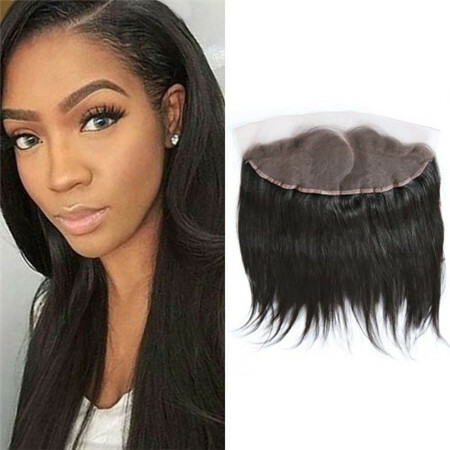 Similar to a closure, but different in that a frontal covers the entire front of your head/hairline. With a frontal, you can pull your hair into a high bun or ponytail with no problem and with it looking amazingly natural, like your real hair. 1Frontal hair pieces allow more versatility when styling your hair for several reasons. Frontals are made with either a silk base or lace base to closely mimic the scalp. It also stretches from ear to ear and the hair can be parted freely to be worn in the middle, left, or right side. You can also pull your hair into a high bun, ponytail, or other pulled back hairstyles without it looking as if you are wearing a wig or weave. This is why frontals work great for women who may have thinning or balding edges because they mimic the natural hairline so well. 2Lace frontal sew in is very similar to a closure piece that is used when wearing wigs, weaves or hair extension pieces. The most obvious difference between a frontal and a traditional closure is that the frontal encloses the entire front area of your head from temple to temple right at the hairline whereas a closure only encloses about a 4x4 area at the of your head. 3The purpose of wearing a frontal hairpiece is to protect the hairline from damage and provide maximum versatility when it comes to styling hair extensions. If you like wearing your hair pulled back and away from the face then a frontal hairpiece would be a far better option than a closure. 2. Frontals offer versatility, whatever you want YOU CAN have it. Wither it be texture or color with a frontal it’s yours! 3. The open canvas offers flexibility for styling, The possibilities are endless! 1. Frontals are delicate and call for a great attention to detail, so please keep in mind that not everyone will know how to install them. 2.Frontals are universal! Not everyone’s head shape will be appealing with this install. A major part of how it will look depends on the shape of your forehead because over time frontal lace can start rolling up at the lairline. 3.Your hair line matters! The smaller your forehead is the more “realistic” your install will look. Why you ask? With a smaller forehead you have to leave an amount of your own hair out which gives it less of a “wig look”. 4.Frontals are not one size fits all. It is possible that with your hair (texture, length and density ) to have unrealistic expectations as your install will NEVER look like someone else’s. 5.Frontals are high maintenance.your install will look great because your Stylist took a LOT of time to install and customize it to fit you. If you are not good with basic upkeep a frontal may not be for you as they require a lot of attention. 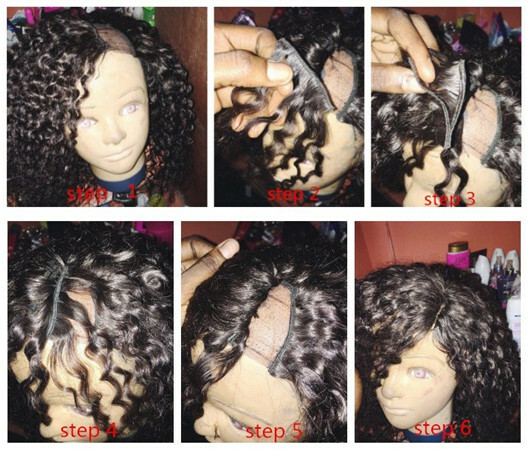 How to make a lace frontal closure? Today we will emphasize on how to make a lace front closure in few easy steps. This would help many to understand as for how it works. In order to get a perfectly fitted closure, we have to measure the entire diameter of the head. Meanwhile,you would better flatten the hairs on the head as much possible to get the exact measurement. The easiest way to do this is by taking a thin plastic wrap and putting it over the entire head, make sure that it doesn’t get loosened up, In addition, we have to apply a clear adhesive to the plastic wrap and then start the design part. Next we remove the plastic design or pattern from the head prepare it to pin it to the wig block. We have to make sure that the design is properly secured on the wig block. Before securing a lace with the pattern, we should dye the lace so that it matches with the natural skin. Next, we have to cover the lace over the pattern on the block. Please ensure that we have to trace the hairline using small straight pins, so be careful. Start with the front hairline and then move back towards the back. The pattern has to be tightly secured and the pinning process should be same. If there is any extra lace falling, we can sew it up and pin the tip of the fold to secure it. Finally, we can move away from the pins from the lace and remove the cap from the design. Place it on your head to check the fitting of the cap and adjust it accordingly. How to apply lace frontal? 1. Evenly spread glue across hair line where you intend the Lace Frontal to sit. 2. Wait 2-3 minutes for glue to dry a little. 3. Place the lace frontal a long the hair line, where you want it to sit with the baby hairs on the glue. 4. Press downwards to ensure it's secure. 5. Cut a longside the netting to create a natural appearance. 6. Now, stitch the back of the lace frontal closure, where there is a lining to the cornrows on your head. 7. Once secure, weave in the rest of your hair extensions behind the closure. 8. Use the closure to cover the hair extensions for a natural appearance. 1.Glue-less methods of wig attachment can be very convenient for many individuals. A number of people also prefer to take their wigs off every night. There are, fortunately, several ways that you can do this if you are looking for a speedy hairstyle solution,here you are. 2.One of the more popular ways is by using wig clips. These look like small combs. 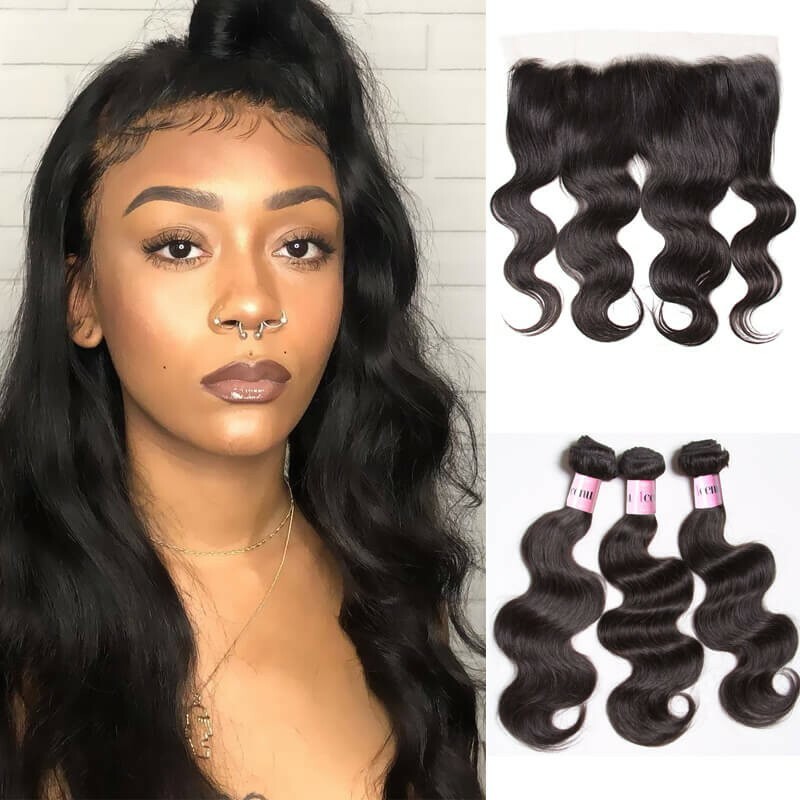 They are typically sewn in along the lining of your lace wigs You can also select a units that uses a combination of clips and adhesives, though clips alone can secure your wig well enough. 3.Another good alternative is to use adjustable straps at the nape of the wig. The straps allow you the wig to fit tightly and snugly on your head without being uncomfortable. The bands are installed around the back of the wig for easy access. 4.A lace wig can also be sewn down with your hair as well. It's one of the longer lasting methods you can try without resorting to tapes, glues and other adhesives. This method can be applied to full wigs as well as frontals. A sewn in wig can be very undetectable, and many people use the process because of this. How to make a lace front look natural? 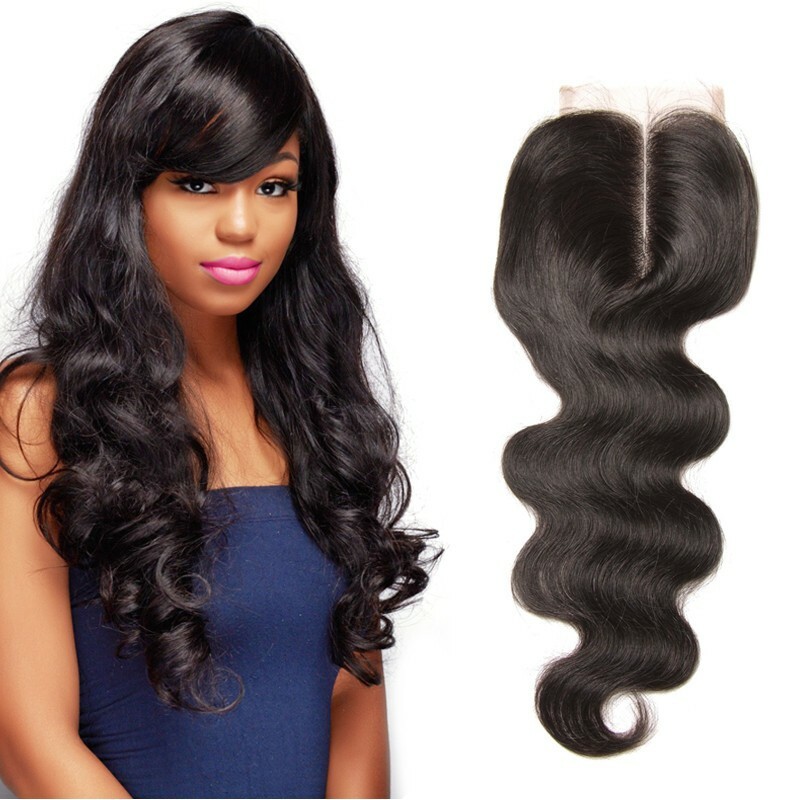 If your lace frontal doesn't have baby hair, click to get the Indian Body Wave Hair Weft With Closure. First you should figure out where you want to place your wig, which should be near your natural hairline. A common mistake that people make is that they place the wig too far up on their head which shrinks your forehead and make is look unnatural. The second thing you want to do is try to place your wig on a mannequin or you can do it on your head as well.The main thing about lace front wigs is that often times the hair line looks very square. If you look at your natural hair line, you more than likely have baby hair around your edges and you have shorter hairs in the front and it fades into your longer hair. So to make your wig look more natural, baby hairs are the things you should re-create on the wig. How to make a lace frontal wig ? One reason to wear lace wigs is that they can cover your hairline in a natural way, so you can always be confident that you're looking your best. However,the price is quite expensive for someone,luckily,you can make a lace frontal wig by yourself. 1.Getting Ready for the Wig:You should measure the head,then make a pattern and secure your pattern on a wig block,next cut the lace.,finally secure the lace on a wig block. 2.Sewing:This is the most key steps .First of all,sew the wig under the edge of the cap. Next,sew using the lop and full method for secure wefts. Then make sure you secure the edge of your weft before flipping over. Apply a new technique by laying your track in a U Shape pattern instead of the back and forth pattern.Keep sowing your tracks until you can tell that it is time to add your closure,then make sure you sew the last track all the way around. After doing these, it should be flat when you lay it down and no track should show when you pull it up. 3.Putting On the Wig:Ok,next is to test the fit of the wig.Trim the lace. Remove the wig and set it aside. Apply wig tape. Apply the wig. That’s all,so easy! Lace frontal closure are an expensive investment , to make them last a long time, its imperative to take care of them .Now we will share you some effective tips to care for your lace front wigs . 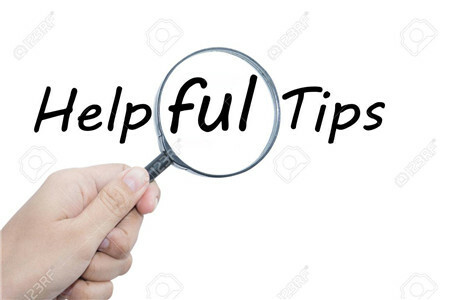 Use the Right Products:The products you use in your wig maintenance routine play a huge factor, in the end, result in your wig condition and its ultimate look.Do not risk damaging your hair just because products are convenient. 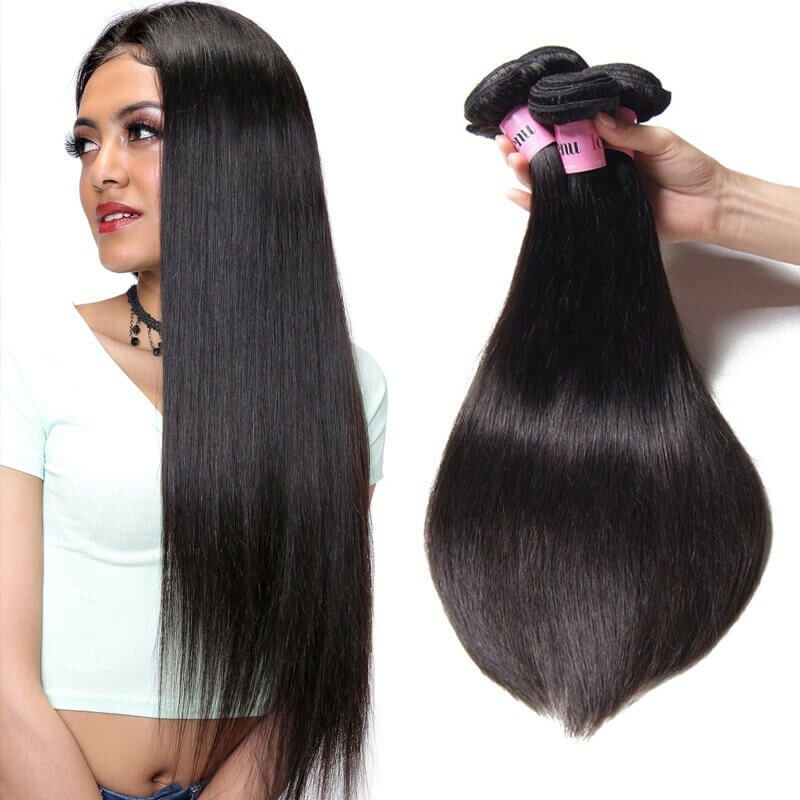 Wash Carefully:Since the quality virgin hair used in this kind of frontal is a high quality. Always ensure that you brush the hair as thoroughly as possible with a paddle brush before you make any attempt to wash it. Wrap It Up:You should invest in a satin cap or a satin pillow case. Not only will it enable you to sleep without the worry of tangles or breakage, but you will also maintain the moisture that cotton made pillow cases strip from your hair. Don’t:Get your Hair Extremely Hot:Listen, ladies, we know you’re on fire when you get your lace closure sew in. But in regards to temperature, you have to take it down a notch. Which is better lace frontal or lace closure? In fact,it depends on your style of choice, a lace frontal may be more appealing than a closure . If you like to pull your hair back then a lace frontal will be best for you. If you simply want to close your install with a natural looking scalp then a lace closure will be the best solution for you. For some people,a lace closure with virgin hair bundles maybe a good choice. 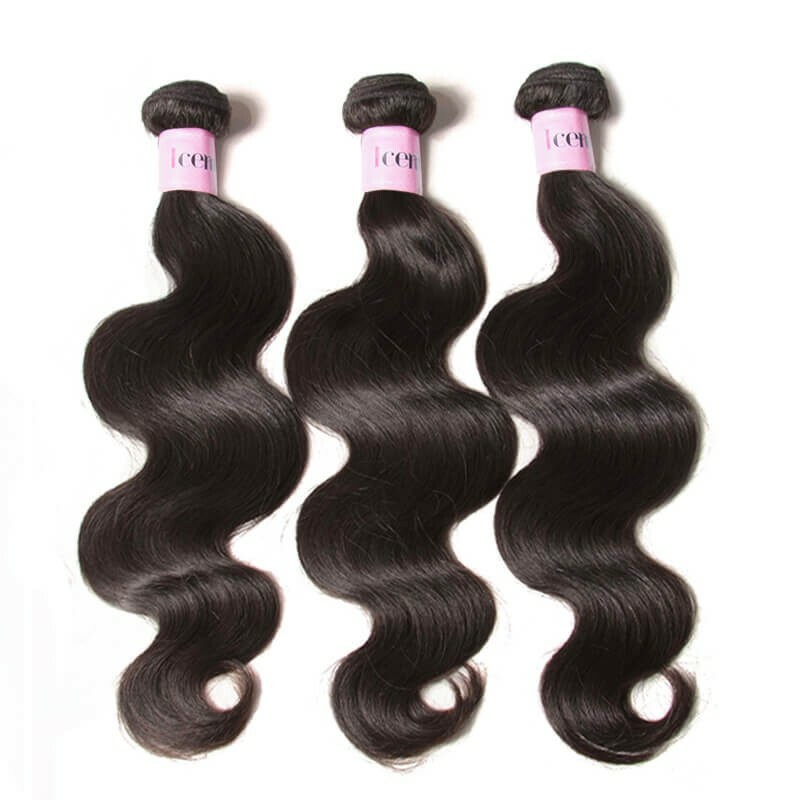 You can apply a lace closure to any kind of hair types what it be scanty, permed, or natural. 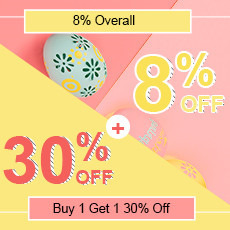 In unice.com, you can find both in:https://www.unice.com/lace-closure-1.html.Various texture contains Brazilian, Peruvian, Indian, Malaysian lace closures are available for you to choose. 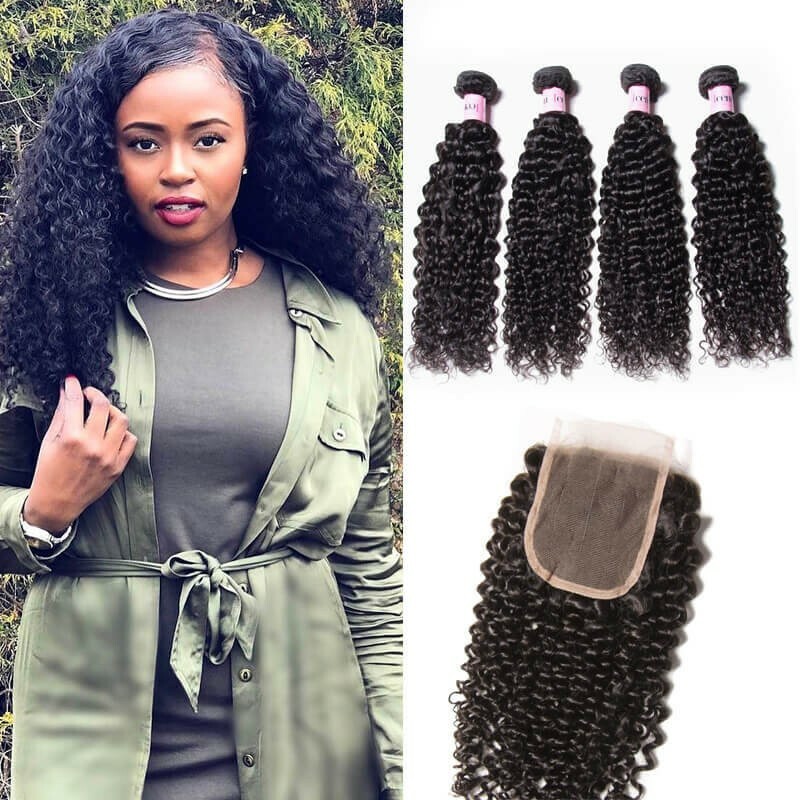 And various parting style: free part, middle part and three part lace closures are available for you to create a perfect and natural hairline.